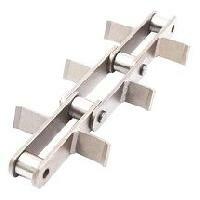 We provide all types of Industrial chains. We have experience of heavy industrial chains and also Scraper Chains with pitches varying from 60 mm to 800 mm. Our chain are mainly using in Cement Plants, Power Plants, Steel Plants and also in all types of Bulk Material Handling Systems.